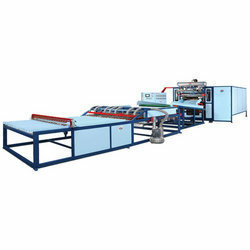 Offering you a complete choice of products which include automatic cup stacker machine for cup stacking. We are counted as major manufacturer, exporter and supplier of highly demanded Automatic Cup Stacker Machine for Cup Stacking. Our offered cup stackers are especially developed to provide high speed production. This automatic cup stacking solution features an ergonomic working height of one meter, large buffer capacity, and competitive cost. We are well known entity instrumental in exporting and manufacturing best in class Automatic Cup Stacker Machine For Cup Stacking. 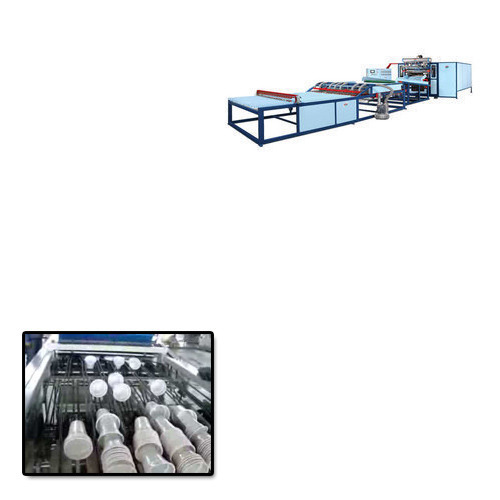 This machine is developed using the configuration principle of plastic cups, thus providing a combined mechanism of flat conveyer belt and round conveyer belt. Further, our offered cup stacking machines can be availed at an equitable price. Looking for “Automatic Cup Stacker Machine for Cup Stacking ”?